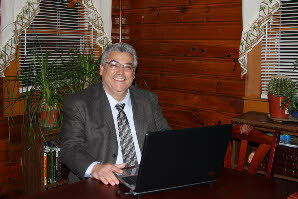 Frank Carvalho is executive director of the Mill Cities Community Investments. Frank holds a Master of Science degree in Community Economic Development from the Southern New Hampshire University and has over 20 years of retail banking and commercial lending. Frank is also experienced in the non-profit field as he was the executive director of the Coalition For a Better Acre, Inc, a community development corporation in the City of Lowell, for about 5 years In addition, Frank has extensive knowledge in running a small business as a partner with his brother in a pizzeria for the last 20 years. Frank has a long history of community involvement, serving on non-profit boards in different capacities. He helped to start and is the co-chair of the Lowell Foreclosure Prevention Task Force, an ad hoc group that has been meeting every other week since August of 06 to address the foreclosure crisis in the City of Lowell.